You may not need to take a multivitamin supplement, especially if your diet includes a variety of foods from all the food groups. But if you feel that you must, you may debate about whether it's better to take an organic vitamin supplement or a synthetic one. In that case, it really comes down to preference. Consult your doctor before adding any dietary supplements to your diet. 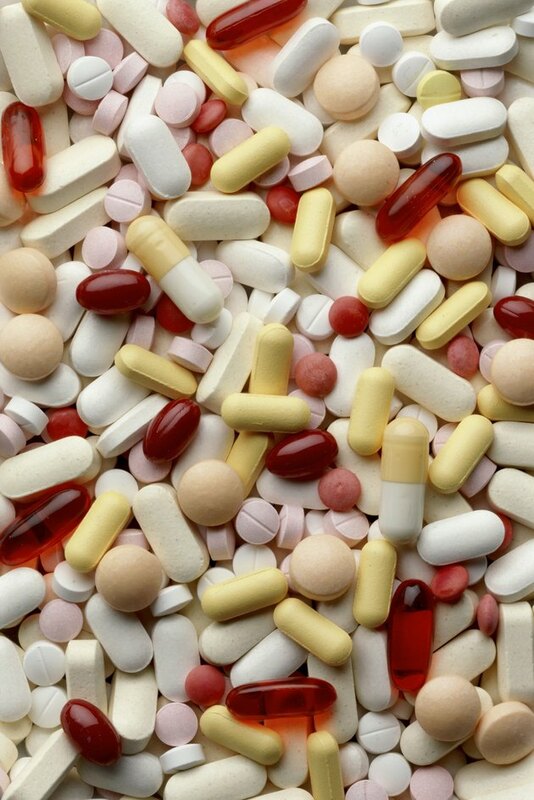 Synthetic vitamins are created by someone in a lab. In contrast, organic vitamins are derived from real food and are also sometimes referred to as natural. U.S. News and World Report notes that it's better to take organic vitamins because they come from food. ScienceLine at the University of California, Santa Barbara, however, reports that no matter where the vitamin comes from, your body uses it in the same manner. When you're looking to supplement your diet, both organic and synthetic vitamins are good choices. Synthetic vitamins, however, tend to be less expensive than the organic kind. Also, while you can find once-a-day organic vitamins, many natural vitamins may require that you take several pills a day to get all the nutrients you need. But you may find that you tolerate the vitamin supplement better when it's taken in smaller doses throughout the day as opposed to one single dose. No matter which type of vitamin you choose, do not take one that contains high doses of any nutrients. According to the Academy of Nutrition and Dietetics, taking mega-doses of vitamins and minerals may harm your health and may increase your risk of heart disease. There are brands of both organic and synthetic vitamins that contain mega-doses. Instead, look for ones that contain 100 percent of the daily value for most of the nutrients. While vitamin supplements are safe as long as you're not getting too much, if you're concerned about where your vitamins come from, you may want to consider getting them from real food. There are nutrients in food that you can't put into a bottle. A healthy diet that includes food choices from all the food groups, including fruits, vegetables, grains, proteins and dairy, should give you what your body needs, plus the added benefits of phytochemicals, fiber, protein and healthy fats.